A push from environmentally savvy consumers along with recent changes in governmental regulations have paved the way for a marketplace of products with high levels of environmental performance. Fueled by the growing demand for biobased lubricants, Environmentally Friendly and Biobased Lubricants highlights the development of environmentally friendly additives that are compatible with environmental regulations and describes the approaches being used in this emerging area. 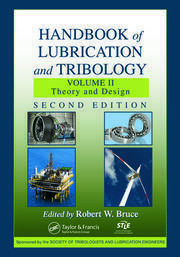 Derived from research topics shared over the years at various technical sessions of the Society of Tribologists and Lubrication Engineers (STLE) Annual Meetings, the book includes a critical assessment of gaps and weaknesses in the field of environmentally friendly fluids and biobased lubricants. 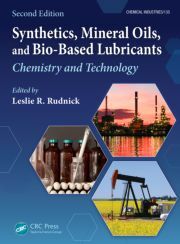 Each chapter is written by authors selected from the environmentally friendly fluids and biobased lubricants sessions of STLE and also incorporates input from prominent researchers invited to take part in the book. 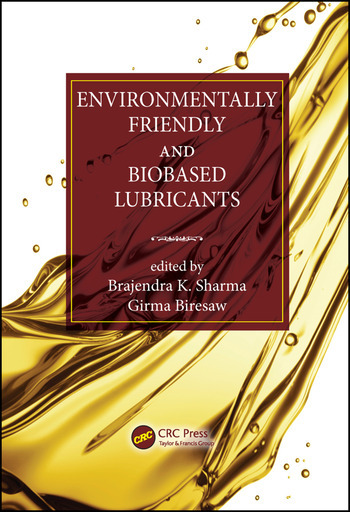 Expert contributors discuss the control, production, usage, and disposal of lubricants; factor in related policies, laws, and regulations around the world; and include case studies demonstrating the uses and values of commercially viable biobased lubricants. 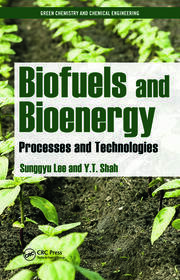 The book is divided into five sections that cover advanced environmentally friendly base oils and feedstocks, biobased hydraulic lubricants and biodegradability, chemically/enzymatically modified environmentally friendly base oils, vegetable oil–based environmentally friendly fluids, and additives for environmentally friendly fluids. Shailesh N. Shah, Sayanti Ghosh, Lalit Kumar, Vivek Rathore, Shivanand M.
Brajendra K. Sharma has served as a senior research engineer at the Illinois Sustainable Technology Center (ISTC), Prairie Research Institute, University of Illinois–Urbana-Champaign, since 2009. Dr. Sharma received a PhD in chemistry from the Indian Institute of Petroleum/Hemwati Nandan Bahuguna Garhwal University (India). Dr. Sharma is an associate technical editor of American Oil Chemists’ Society’s Journal of Surfactants and Detergents. Dr. Sharma holds five issued patents on biobased lubricants/additives and has authored/coauthored more than 140 peer-reviewed articles, proceedings, book chapters, and technical reports and more than 130 scientific abstracts. Davis, and spent four years as a postdoctoral research fellow at the University of California–Santa Barbara, investigating reaction kinetics and products in surfactant-based organized assemblies. He then joined the Aluminum Company of America as a scientist and conducted research in tribology, surface/colloid science, and adhesion for 12 years. Dr. Biresaw has authored/coauthored more than 270 invited and contributed scientific publications, including more than 80 peer-reviewed manuscripts, six patents, five edited books, more than 40 proceedings and book chapters, and more than 140 scientific abstracts. "… a novel reference for R&D activities and suitable feed stocks to be used for the preparation of bio based lubricants." "… a very thorough book on a current active scientific area. The editors have done a good job in selecting authors with expertise in their subject." "… a useful book for all who are working in this fascinating and important area of renewables. Full of references and novel approaches." "This book attempts to focus on recent developments in the field, building on accumulated knowledge over the years. Diversity in content and depth of research material discussed, this edition is uniquely positioned to appeal to new researchers in the field and subject matter experts alike." "… a broad spectrum of cutting-edge reports with interesting findings, based on innovative approaches and sound concepts." "This book brings up-to-date information regarding biolubricants under one roof. Provides easy access to other relevant references. Brings topics that are not as well-known into discussion and consideration. A valuable addition to the lubricant world." "…a superb reference for those who are new to or work in the field of environmentally fluids with the goal of producing cost-effective commercial products with performance properties equivalent to—or perhaps in some areas—even better properties than the corresponding petroleum-based products." "The range of biobased products presented here is comprehensive, imaginative, based on good science, and with some products having surprisingly good lubrication properties."